I’ve been spending a lot of time thinking about what I do and how I do it … and who I am. No secret there. This post, ‘I’m disappointed in myself’ by Lysa TerKeurst really resonated with me and this part of my journey. 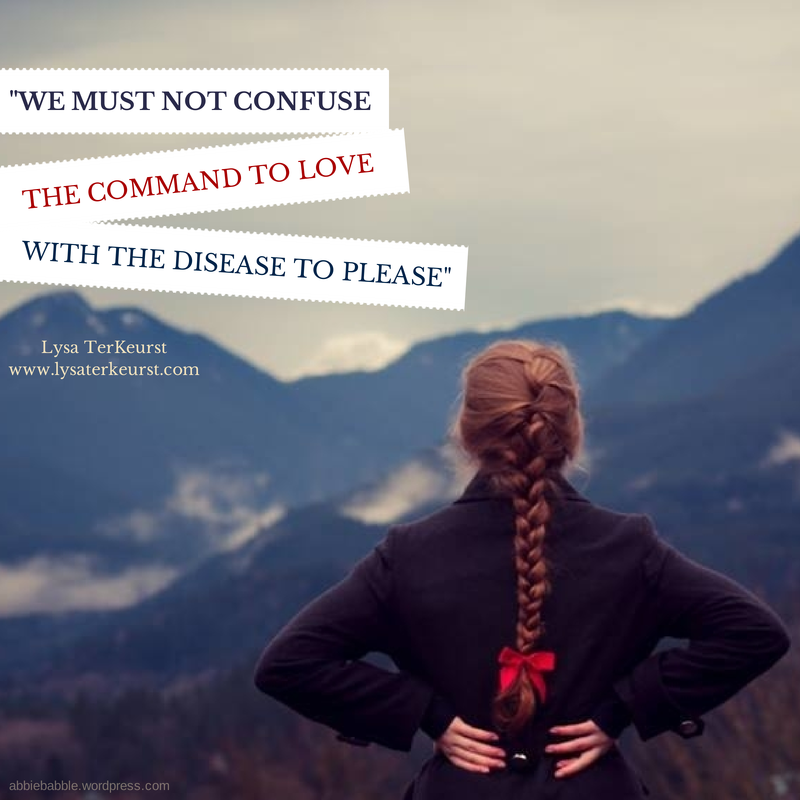 The words “we must not confuse the command to love with the disease to please” jumped out at me. I took from this post that we do have to say ‘no’ … sometimes. That it’s not only okay to say no, it’s right to say no. That living a life feeling worn out and overwhelmed doesn’t allow us to be the best that we can be. In anything. I have to admit, none of this is new information but it’s always good to be reminded. I can so relate to this as I work out my life, and myself. I know I spend a lot of time pleasing others – especially my family – because I think it’s the ‘right thing to do’ or because I’m afraid I will be judged or loved less if I don’t. I need to remember it’s okay to quit pleasing myself sometimes too. By which I mean, I have incredibly high standards in everything and get so wrapped up doing things ‘perfectly’ I don’t put aside the time to do things that to me seem lazy imperfect – taking a break, reading a book, having a nap, just sitting and listening to music – but are crucial to me being at my best. I don’t want to let my standards slip (although that is called of me) because that will make me miserable too, but saying no every now and again might give me space to breathe, space to be me. My need to please and to be perfect also takes time from the things I really want to do, not to mention the missed opportunities because I was ‘too busy’.